Music by women composers for flute and strings. Celebrating music’s tremendous power to create hope for a better world. 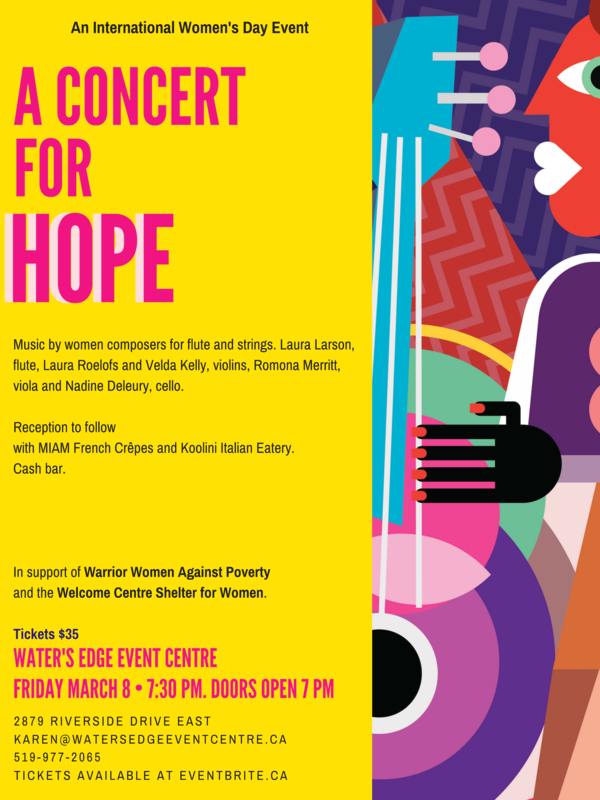 A benefit for Warrior Women Against Poverty in Detroit and Welcome Centre Shelter for Women in Windsor. Reception by MIAM French Crêpes and Koolini Italian Eatery included. Cash bar. An official International Women’s Day Event. Tickets: $35 Advance purchase only.